" Bob Vila would have a field day with this place. Haunted castles have been the object of attention by many different types of individuals all throughout history. These structures, which were originally created as a type of defense against enemies, remain to be one of the main symbols that represent the period of the Middle Ages. The Middle Ages is considered to be the historical European time frame that occurred from approximately 500AD to the time of approximately 1450AD. During this time, most of the military servants resided in castles. There were a number of complications that castles were believed to guard against. These complications included invasions by enemies, bandits, and in many areas of the world, pirates were an issue. The royal and well to do citizens lived in little areas that were referred to as “Villas”. However, once these well to do citizens saw the beauty and splendor that these large structures exhibited, they began to have their villa built inside of the castle for the ultimate level of defense and luxurious living. As time progressed, wars and invasions became common. Politics, arts, and even worldly affairs began to take place. Famine, sickness, and disease were commonplace, and basic brutality often occurred. Eventually, many sad and horrifying stories emerged concerning castles. 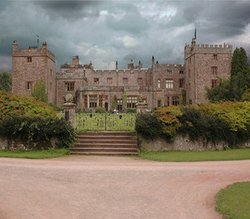 It would not be too much longer until individuals who visited these castles would report hauntings, mysterious noises, and other strange events. 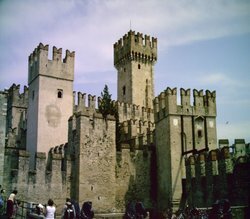 To date, there are several haunted castles located throughout the world. Here, I will share some details on these paranormal enhanced structures. Thornewood Castle Inn and Gardens is one of the most beautiful of all haunted castles. Tucked away beneath the limbs of lovely shade trees and nestled on a fine greenery landscape, this castle attracts many individuals annually. Stephen King recognized the beauty and paranormal happenings at this particular castle. He believed that this would be the perfect filming location for the ever-popular “Rose Red” movie. At the time in which the movie was filmed, many renovations occurred to the castle. This is when mysterious and unexplained events begin to occur. Preston Castle is located in Ione, California. There is a foundation that has been established to completely renovate the unique structure. This particular structure has attracted the attention of numerous ghost hunters and paranormal experts. Many interesting strings of evidence have been gathered in order to confirm the spectacular haunting of this castle. These pieces of evidence include that of actual video footage, pictures that capture apparent apparitions and orbs, and even electronic voice phenomenon, or “EVP”. As the renovations continue, so do the paranormal experiences of this castle. Belcourt Castle in Newport, Rhode Island is another magnificent structure that is claimed to be among the haunted castles in the United States. Constructed in the years of 1891 and 1894, this amazing establishments remains to be one of the most electrifying and attractive homes to date. The Tinney Family now owns the castle. As a matter of fact, this family has owned the castle for fifty years! Many Ghost Tours and similar activities are made available to those that are interested in the structure and the haunting tales that surround the castle. Throughout these pages, you will learn a number of interesting facts surrounding haunted castles. If you have a story to share with us, be sure to visit the Your Ghost Stories Page. We would love to hear from you!